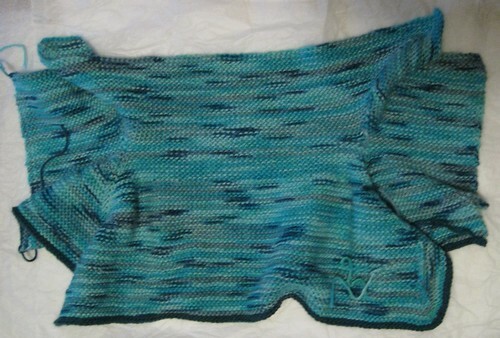 The Baby Surprise Jacket has been knit literally thousands of times and given with love every time. It is one of Elizabeth Zimmerman’s iconic patterns that combines garter stitch with modular structuring to create an easy and attractive jacket! So attractive that there are now adult “surprise” jackets and many other variations on the same theme. It can be knit in almost any weight of yarn and with a little math and some “pithy” instructions you are good to go. 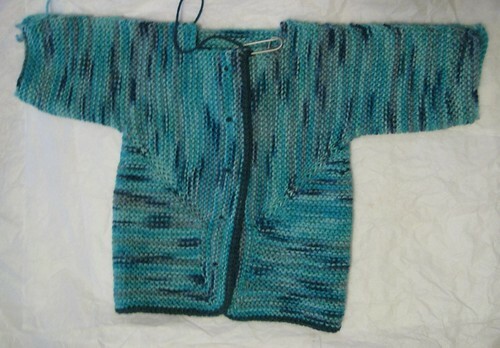 This weekend we a having a BSJ (Baby Surprise Jacket) Workshop. There are still a few spots left. There is no homework. So come and explore the possibilites with the BSJ and a few other of Elizabeth Zimmerman’s favorite techniques. A few quick folds and Voila! We have a Jacket! » Uncategorized » A Little “Zimmerman” Magic!